I was recently lounging at home, eating salami. I really like salami. I can eat three to four packages and not feel full. It’s as if each piece of salami creates space in my stomach for more salami. 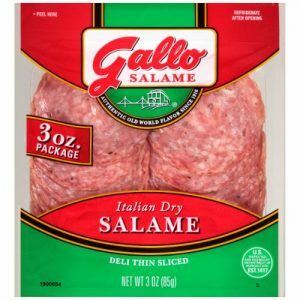 I was two packages in when I lost my taste for salami. I was stupefied. What was happening? It was akin to being out and about during the day and suddenly the Sun disappears. My dog Rexy picked up on the aberration and started barking at me like a squirrel had walked into the room. I called my doctor, Sheldon Dentenner, but he wasn’t available to see me until till Thursday. I paced my living room like a madman. Then it clicked that I needed a Bazooka Joe gum fix. I went into the kitchen’s pantry and opened the jar that contained unwrapped Bazooka Joe’s. I shoved a handful in my mouth and began chewing. But I wasn’t getting that brain sugar spike that sends me into candy euphoria. I spit out the wad onto the floor and my dog Rexy attacked it as if it was an accumulation of all cats. I went outside and ran around my backyard in circles. I got dizzy and passed out. I woke up to Rexy licking my face. Rexy said, “What’s happened to you?” I said that it must be some kind of dark night of the soul. Rexy suggested we take the time machine to visit Lord Krishna. Which we did, and there we were in 3275 BC, Dwaraka, India. Avatar Lord Krishna was sitting in his garden in full levitating lotus, playing with a hand held game where you try and get the small metal balls into the holes.